New wheel stud replacement for all Mercury Cougars equipped with front drum brakes. Pretty much fits most other front drum brakes on all mid sized Ford and Mercury cars. 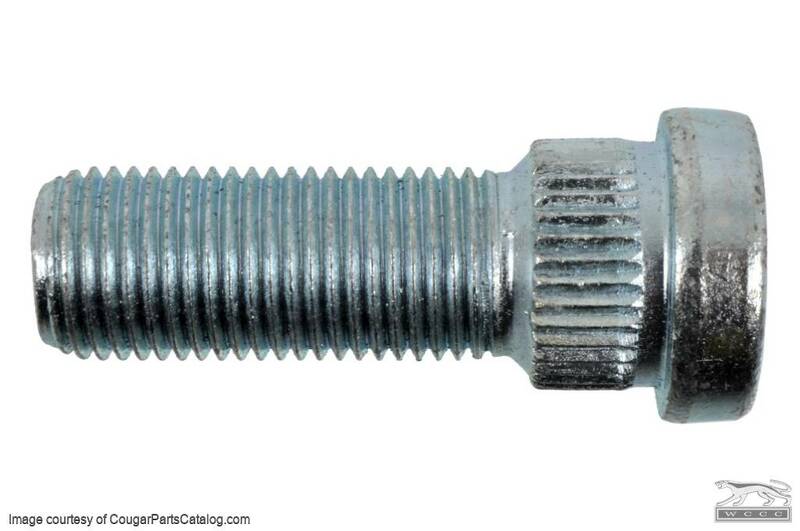 Front drum brakes only, serrated stud with correct 1/2 x 20 threads. Replaces Ford part # C30Z-1107-A. *NOTE* You should use a press to remove and/or install the new studs.